Wondering how San Francisco did in terms of new jobs added last month? With pumpkin spice season in full swing and local hiring ramping up, read on for a breakdown of the industries and unique occupations attracting workers to the area most. San Francisco has risen to first place among U.S. cities in hiring for technical evangelists, according to new positions posted last month on jobs site Glassdoor. (According to Wikipedia, a technology evangelist is "a person who builds a critical mass of support for a given technology" and "promotes the use of a particular product or technology through talks, articles, blogging, user demonstrations, recorded demonstrations, or the creation of sample projects.") The city also ranked first in new job openings for production artists and product engineers. 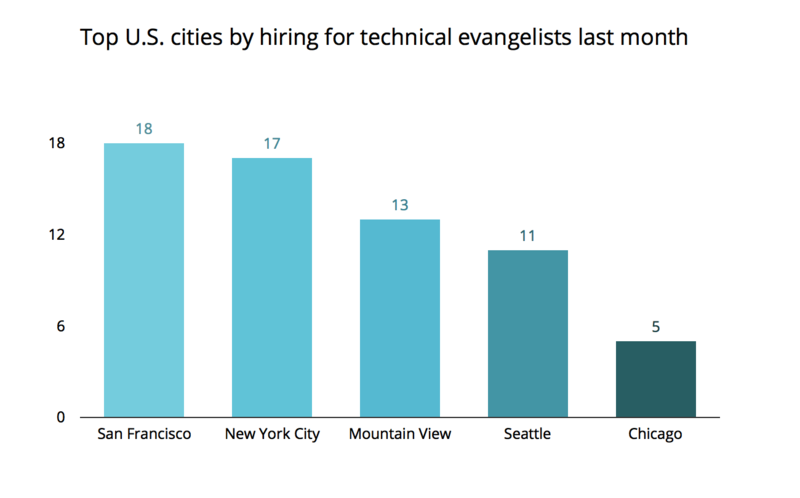 Comparing across the country, San Francisco came in ahead of New York City, the U.S. city with the second-most new positions for technical evangelists last month. Other occupations are also in high demand in Bay Area cities: South San Francisco ranked first among U.S. cities in new openings for clerical jobs. In terms of hiring by industry, San Francisco unsurprisingly beat the competition in computer software and hardware, placing first among U.S. cities in terms of total jobs added last month by local computer software and hardware companies. The city ranked second for new jobs added in the personal care and consumer services industries. 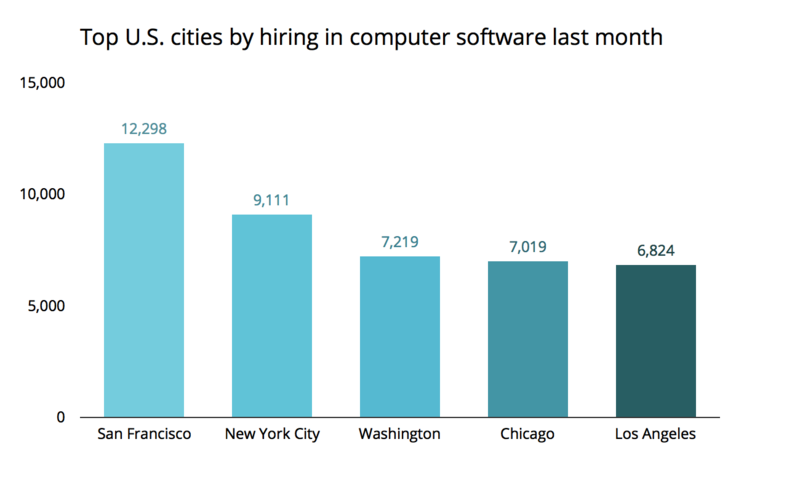 Second place for new positions in computer software and hardware last month went to New York City, followed by Washington D.C., Chicago, and LA. If we focus on hiring by occupation relative to the local population, San Francisco is most competitive in demand for product designers, placing fourth among U.S. cities last month in per-capita openings for that skill set. The city ranked fourth in new jobs for administrative analysts, and fifth for equity researchers, again relative to the local population. 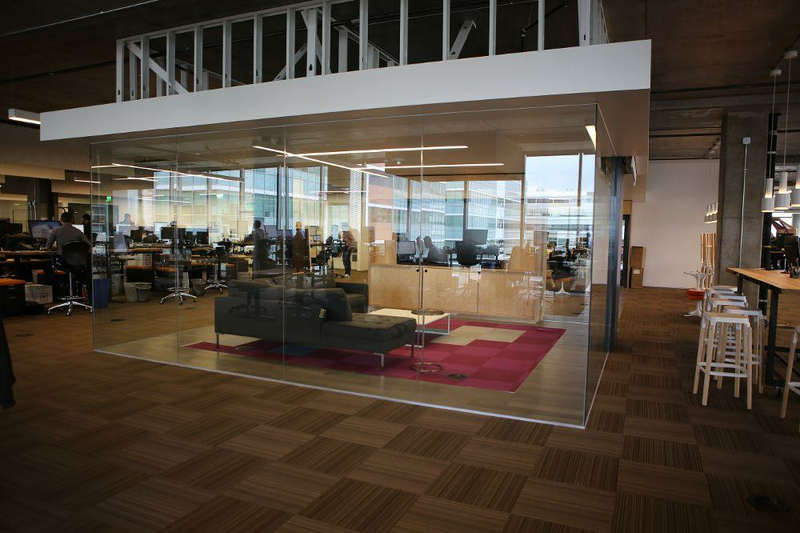 Looking for new opportunities in a field with strong local demand? Companies like Twilio and Meraki are bringing on technical evangelists, and other local employers like Athleta are hiring production artists. Among competitive local industries, computer software and hardware companies like Uber Eats, Cruise Automation, and Salesforce are hiring drivers, software engineers, and product marketing specialists.